Made famous in Puerto Rico, Pina Colada is a cocktail concocted to perfection with the ideal amount of rum, pineapple and coconut milk. Immerse in this much-celebrated South American cocktail with bursting flavours of rum and strained pineapple. 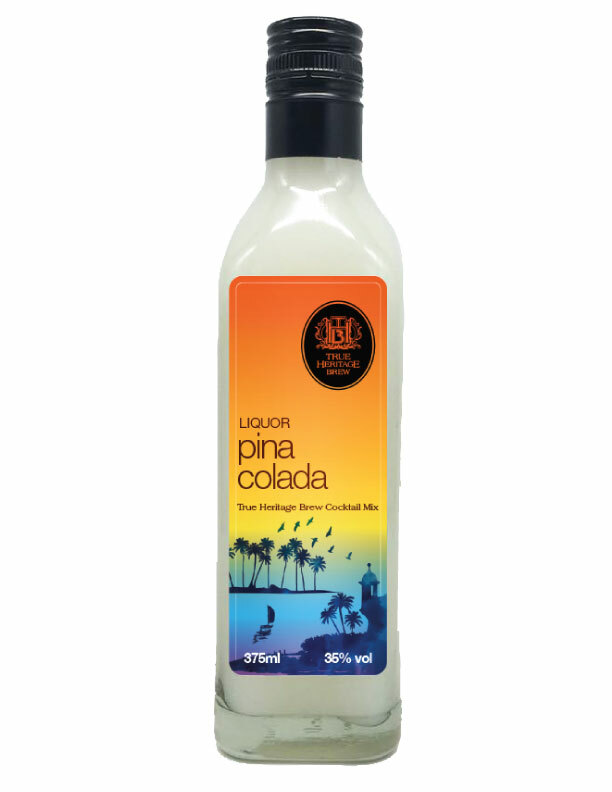 Shake 1 part True Heritage Brew Mix with 3 parts pineapple juice and 2 parts milk; add some ice. Garnish with a cherry and a pineapple wedge as you wish. Alternative: Pour all ingredients into an electric blender with 2 cups of crushed ice and blend.